Corn the cob is one of my families favorite side dishes. This is one of my all time favorite ways to make corn on the cob. 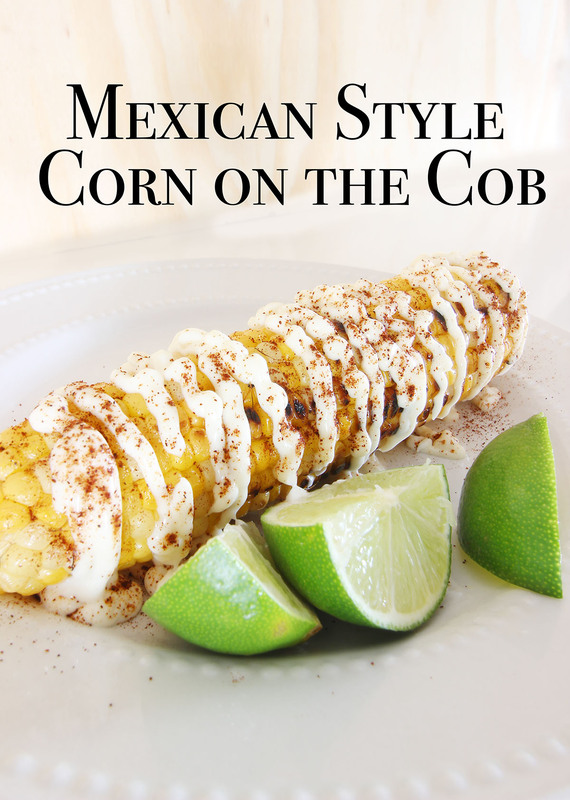 It’s Mexican Style Corn on the Cob and its so easy! It sounds really strange but its so good. Its really so easy. We grilled our corn on the grill but you can boil it or you can cook it. Which ever you prefer. Then you are going to put the mayo on. How much to use depends on your preference. I like to get the mayo in a squeeze bottle and squirt it on and then sprinkle with a little bit of chili powder. My husband likes more then I do and then squeeze the lime over the top. See its so easy and it just takes your corn on the cob to the next level.